Of all the many unsolicited opinions offered to me by presumptuous strangers and acquaintances, I most frequently get: "Check yo damn privilege". To which I retort, "We are all fighting our own demons, so don't be a d*ck." Isn't it astonishing how the politics of envy justifies its existence with the reasoning: the other half are leading the life I want, therefore they're not entitled to the basic human right of wanting more, or God forbid, expressing dissatisfaction? Count your blessings and you're bragging, lament your lackings and you're ungrateful: you're damned if you, damned if you don't. Winning the genetic/talent/birth lottery aside, we are all the same - if you cut me, do I not bleed (blue blood)? Of course our struggles differ: while I don't have to worry about the more common issues like getting a foot on the property ladder or straightening my hair everyday, the fact is - everybody makes sacrifices for the things, people, and places they love. I am no exception, and so, inspired by this month's travel blogger linkup on 'home away from home' I have decided to announce my choice to surrender my passport for half a year, all in the name of love. I speak of course, of my love for the world's greatest metropolis - London. Was it only ten years ago that this sheltered 19 year old traded her ingenue for independence and moved across the world from Kuala Lumpur to London, leaving behind a life of cosseted luxury for a brave new world of night buses and psychotic landlords? My story is a modern classic in the tradition of Carrie Bradshaw: small-town girl moves to the big city; is mesmerised by the bright lights, brands, and the life-changing discovery that you can get oysters and truffles at three in the morning; and stays for the Cosmopolitans, the Manolos, and the prospect of finding "Ridiculous, inconvenient, consuming, can't-live-without-each-other love." Men come and go, but London reigns eternal. Though many would opine that their relationship with this city is somewhat abusive (£17.20 for a daily Travelcard, you wot m8?) I have always defended my lover. New York City may have her bagels and High Line, Paris may have her couture and Colette, but I truly, madly, deeply believe that London is the real deal: a true metropolis city, the greatness of which is built on the back of its diverse inhabitants. Not even the post-Brexit hate crimes towards her foreign population will change that - rather, Londoners have risen to the challenge by fighting hatred with love and acceptance. These are just four reasons to love London - although I'm not chuffed about waiting 5 hours to find out: "pimple, or boil?". I doubt its the irresistible allure of the famously fickle (read: four seasons in one day) weather that draws bright, ambitious, and inexorably good-looking young people to this financial and cultural hub. It's the eye of the tiger, it's the thrill of the fight - and what an arena: a backdrop of Georgian architecture and glossy skyscrapers on which the city showcases its culinary and cultural diversity, many of the latter free to peruse. London is a city for the bold and the brave - she who dares, wins. And so I've dared and endured in the pursuit of education and life experience. 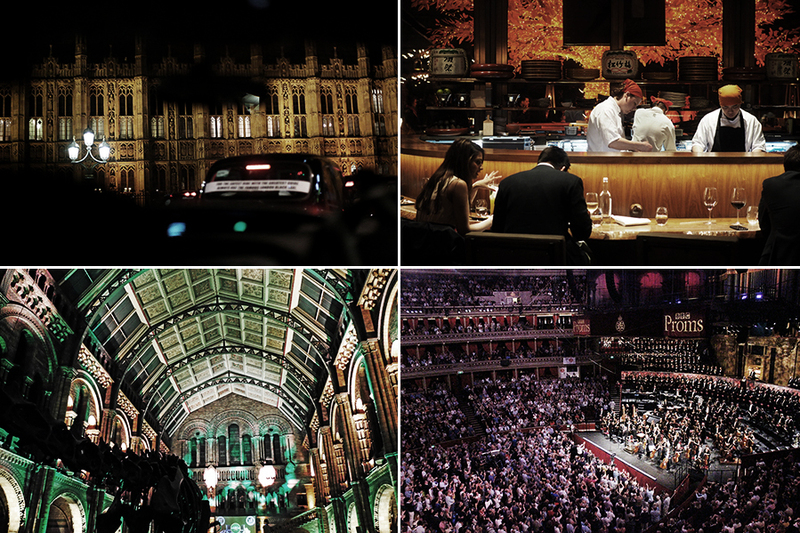 waltz with royals and dinosaurs, and rock out to Wainwright and Wagner in the same venue? Sadly, it seems like my love is one-sided, at least where immigration is concerned. Making roots in the UK is next to impossible for almost everyone outside of the European Union, and even for them this freedom of movement is now looking uncertain*. I've blogged about my understanding on how migrants can settle in the UK, and short of seeking asylum there are only three ways - each with their own options, and their own unique set of challenges. Long story short, I've been in Britain for ten years: the first 3 on a student visa, the fourth and fifth on a post-grad visa, and the last 5 on a Tier 1 visa. *I never thought I'd live the day to see my immigration status in the UK to be more secure than those from the European Union...what strange times we live in. Five years of graft and I've more than paid my dues, proving how deep is my love, is my love? Finally, the city and the country that I've contributed so much too has reciprocated: this fall, I'm up for indefinite right to remain. It's not the same as being a naturalised citizen, because Malaysia is a jealous wife and would rip up my passport if I dared to go polygamous, so...mistress it is. Again, more conditional love. I have to sit tight for six months while the Home Office plan my welcome party. During that time I can't leave the UK, so my trips to Iceland in December and Malaysia for Chinese New Year have been cancelled. It's a cross to bear for someone who loves to travel. But with so much of beautiful Britain to explore, I'm sure I can find ways to keep the wanderlust at bay. In the meantime; trips to Croatia, Barcelona again, maybe Switzerland, and Malaysia are in the works, because this #travelblogger needs a fix to tide her over 'till she becomes, finally, a true Londoner. HAVE YOU EVER HAD A 'HOME AWAY FROM HOME' YOU WERE WILLING TO MAKE SACRIFICES FOR?